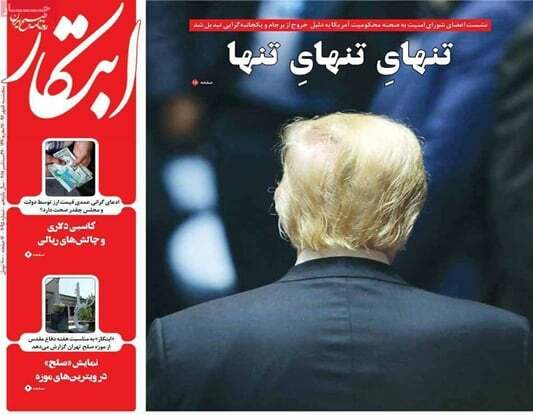 IFP has taken a look at the front pages of Iranian newspapers on Thursday, September 27, 2018, and picked headlines from 15 of them. IFP has simply translated the headlines and does not vouch for their accuracy. The top story in all papers today was the isolation of US President Donald Trump and the unanimous opposition of UN Security Council member states to his withdrawal from the Iran nuclear deal. They also joyfully reported his humiliation at the UN General Assembly, where all audiences laughed at him. Also a top story was the gathering of regional national security advisors and senior officials at the Regional Security Dialogue held in Tehran on Wednesday. Remarks by Iran’s top security official Ali Shamkhani at this meeting received great coverage in the papers today. Several papers also covered the 88th football derby between arch-rivals Persepolis and Esteghlal of Tehran, which is to be held on Thursday afternoon in Azadi Stadium. 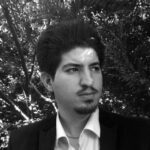 1- Who Wrote Rouhani’s UNGA Speech? 3- US Dollar Rate IRR 33,000 without UNSC Resolution, IRR 180,000 with the Resolution!